Issaqueena Falls, located near Walhalla, South Carolina, is a 100 ft (30 m) high cascade waterfall in the Oconee District of the Sumter National Forest. 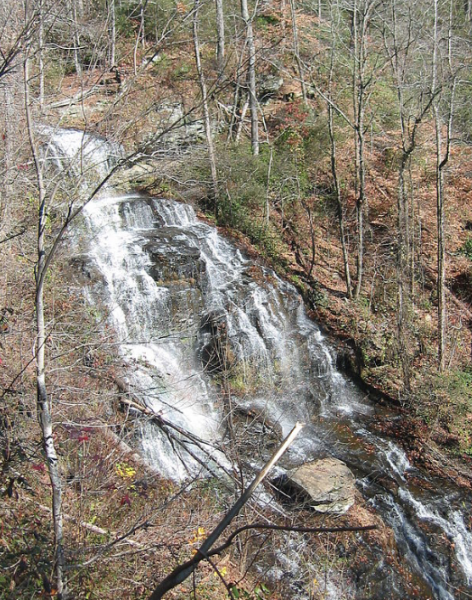 The falls are named after a Cherokee girl who allegedly leaped from the top of the falls with her lover, an Oconee brave, in an attempt to hide him from the rest of her tribe, which was at war with the Oconee. Issaqueena allegedly then hid him in the recessed area just below the top of the falls. It is very close to Stumphouse Tunnel, another notable local landmark. Today a small park provides access to both locations.